Attwood’s Patent Pending Multi-layer primer bulb is designed to provide up to 60% more priming output than leading competitors in extreme conditions while exceeding new EPA requirements to prevent fuel evaporation. 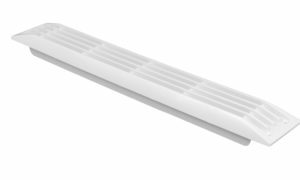 Attwood’s exclusive three-layer design ensures high fuel pumping output in hot temperatures (up to 122F ) and cold temperatures (down to 18F) while resisting collapse and hardening. Includes dual high-efficiency check valves that prime in any orientation with low-restriction fuel flow that ensures proper engine operation and aids fuel pump durability. 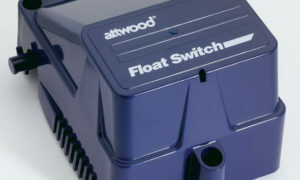 All Attwood portable fuel compoments are designed to exceed OEM engine fuel flow requirements. 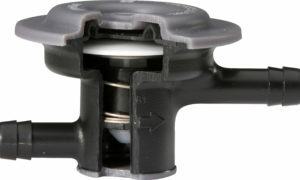 Low Permeation Primer Bulb prevents prevents fuel evaporation saving gas and money. 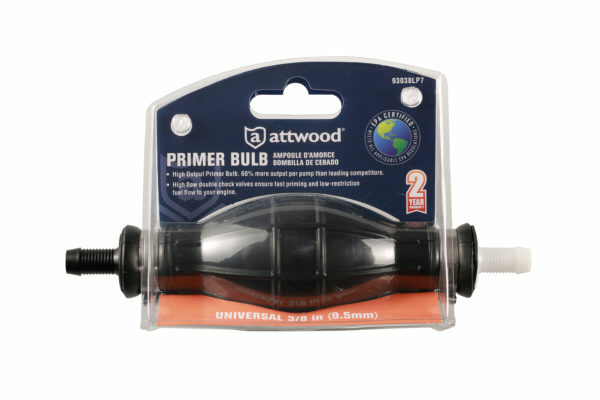 Exclusive three-layer construction prevents primer bulb collapse under vacuum and ballooning/bursting under pressure. 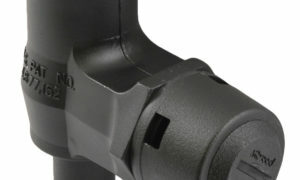 60% more output per pump than leading competitors provides faster engine priming and fewer strokes to prime. 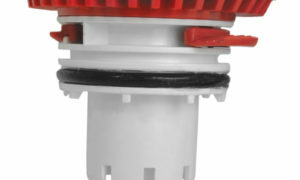 Exclusive inner expansion ring ensures primer bulb won’t collapse during engine operation and provides 60% more pumping power than competitive single layer primer bulbs. Tested to ABYC H-25 and USCG requirements. Exclusive high-efficiency check-valves ensure faster priming and low fuel restriction (less than 1kpa restriction at 50 liters/hour).